Now, if there is one thing my housemate Gabi and I know about, it's hangovers, and, how to get a good one. As professional party-goers we've definitely got the t-shirt - it probably says 'pop the prosecco' on it TBF. Our hungover Sundays usually consist of the following: a detailed de-brief of the night out, a trip to MacDonalds (or just an uber eats dial up - YES MY LOCAL MACCYS IS ON UBER EATS), a (filtered) photo upload showcasing all the fun we had, major sofa chills, comforting hugs and more food. 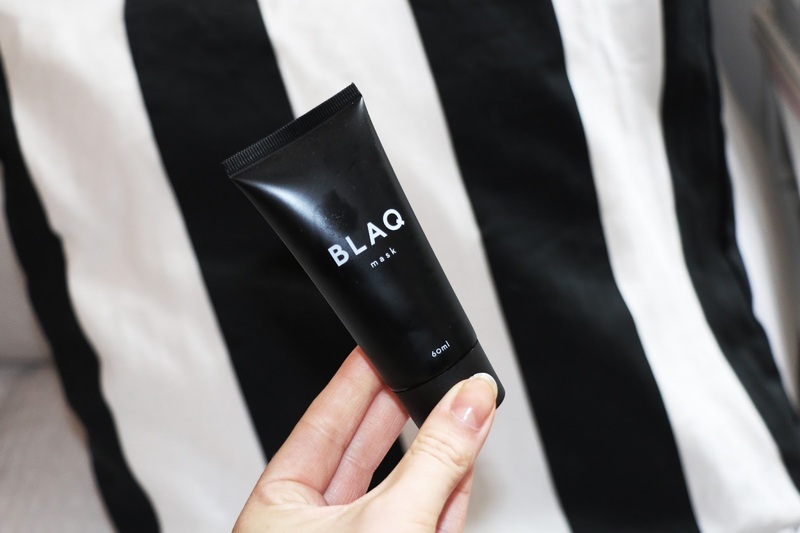 But, hold the phone, there's a new ritual to add to the Sunday hangover list... enter, BLAQ! This bad-boy face mask and eye de-puffer have become our new Sunday saviour. It wiped away our hungover sins and actually had us looking a little bit fresher. Add a full night's sleep on top of that and we're ready for you Monday! I was pretty dubious about using this mask after all those hilarious/horrifying videos online about how painful they can be, but, I needn't have worried. This was simple to apply and easy to remove, and, not too painful! Just layer on thickly - concentrating on your T-zone - and you'll be left with baby-soft, pore-free skin. This is one product I need, and badly. If you're after fresh eyes and no bags then get involved. They're the 2017 update to the cucumber trick - I absolutely loved them.